With as many as 262 lakes, ponds and marshy wetlands, Bengaluru was once famously known as ‘City of Lakes’. The city’s waterbodies played a vital role in regulating temperatures, addressing water needs, ensuring high level of groundwater table and providing open spaces for recreational activities. However owing to anthropogenic activities and population pressures leading to unplanned urbanization in recent times, Bengaluru has lost most its lakes and other waterbodies discharge of industrial effluents, domestic sewage and unregulated dumping of solid wastes. A number of lakes have also fallen prey to unaccountable encroachment resulting in drastic shrinkage of waterbodies in the city. In order to create a more sustainable environment, NBF has envisioned the Kere Habba program to create awareness on lake / water conservation and local community participation in environment related activities. 1. 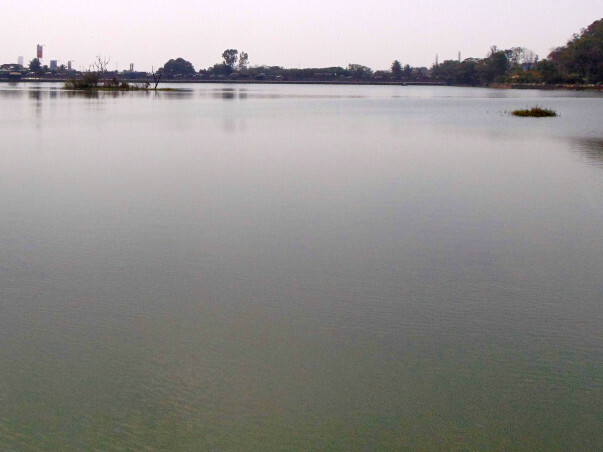 About the Lake: Sankey tank, a manmade lake or tank, is situated in the western part of Bangalore in the middle of the suburbs of Malleshwaram, Vyalikaval and Sadashiva Nagar. 2. Existing Flora and Fauna found in the Lake: There are plenty of fishes in the lake and there are increasing signs of migratory birds visiting the lake. Mentioned below are the areas for support for active community participation and sustained efforts. 1. Create awareness regarding the protection and preservation of the lakes. 1. Volunteers to help to conduct the above mentioned activities. To register for Nandi Hillathon click here.